Balabac, Palawan, gave us a novel summer experience. I’m not just saying that to stir up hype or exaggerate. It’s different from the usual summer escapades, for many reasons. You’d be surprised to know that the amazing beaches we discovered are only one of these reasons. This is despite the many stories and controversies surrounding Balabac, Palawan, which are all interesting topics for discussion over coffee but unfortunately too political to publish here. This was our experience in this obscure location in the southern part of the Philippines. Back during our trip, there wasn’t any updated itinerary or information about Balabac, Palawan. In fact, most people hadn’t heard about this place. There’s no contact information posted online or list of updated rates for accommodation or island hopping. To some people, this is fine but for those of us who’d gotten use to the free-flowing information from the Internet, it’s a challenge. I was actually prepared to just go and discover without any prior information, but you see, I’d invited friends over and felt responsible for at least making sure that we were going to spend our time well and we’d be able to bring sufficient budget. 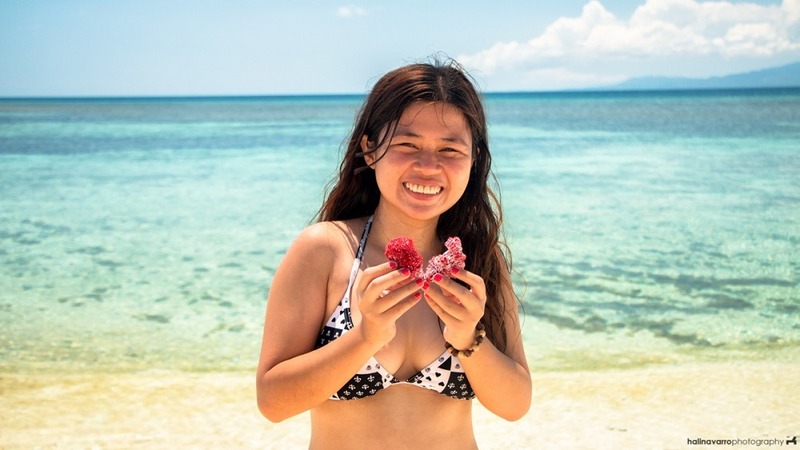 I’d messaged random people from Instagram and managed to connect with Ate Bebeth, Balabac’s assistant tourism officer. I’d also inquired to fellow travelers. It was the third one who was able to give me a working mobile number of a boat operator, Kuya Boboy. Kuya Boboy then quoted a rate for island hopping. Mind you, this happened in a span of several weeks. Most of the boats in Balabac don’t have an outrigger, and ours didn’t even have a roof. Since some islands were 2 or 3 hours apart, we spent a lot of time basking under the sun, with only sarongs for cover. On our last day in Palawan, the skin on my face had already started peeling. Hali’s arms were not spared as well. Despite applying and re-applying sunblock, we went home three or four shades darker. Most people who visit Balabac, Palawan, are after Onuk Island. For those of you who’re unfamiliar with Onuk Island, it’s the location of a winning NatGeo photo contest by Pinoy photographer George Tapan. Onuk Island is privately owned by Mayor Shuaib. I didn’t really expect that we’d be able to visit this place. It was election season and Ate Bebeth warned me about security issues, considering the political situation. However, our friends wanted to visit Onuk Island, so we asked permission from the Mayor twice — and got denied. Why? We really don’t know. It’s his private property, after all, so it’s his prerogatives to let travelers in. The locals said it depends on his mood. Despite this heartbreak, we didn’t leave feeling sorry. After our final attempt, we decided to spend the rest of the day in Candaraman and Sicsican Islands. It was exhilarating, and I kept thinking how Candaraman Island would make the front pages of a travel or luxury magazine. We had the beautiful beaches to ourselves. Balabac, Palawan, offers a few exotic features – a pink-sand beach; an endless powder-smooth, white-sand beach; a crystal-clear beach with a wide sandbar. It also houses endemic wildlife, including katala, which is a type of bird. There are also mouse deers and crocodiles, which are very common in the area. Pawikans are also plentiful in Balabac, Palawan. It’s one of the most prominent animals in this municipality, since there are always news about illegal smuggling and such. In fact, Camiaran Island used to be a sea turtle haven. There are times turtles can still be spotted here. 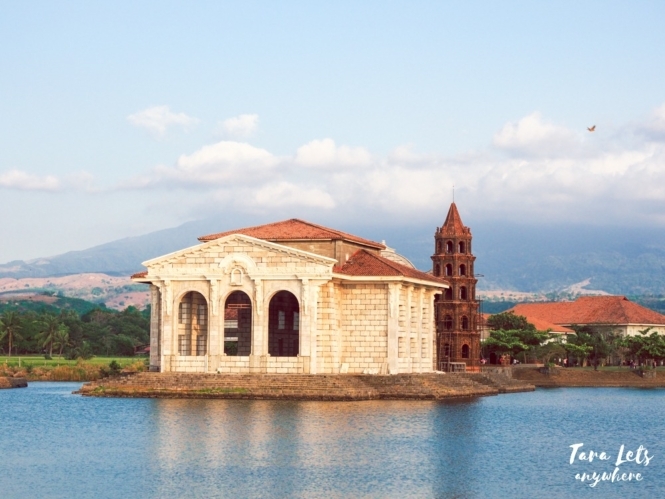 We’d already been to a couple of secluded, off-the-radar places before, but setting foot to a pristine beach or untouched landscape never loses its charm. What I like about beach trips, aside from dipping in cool waters, is the wide availability of seafood. 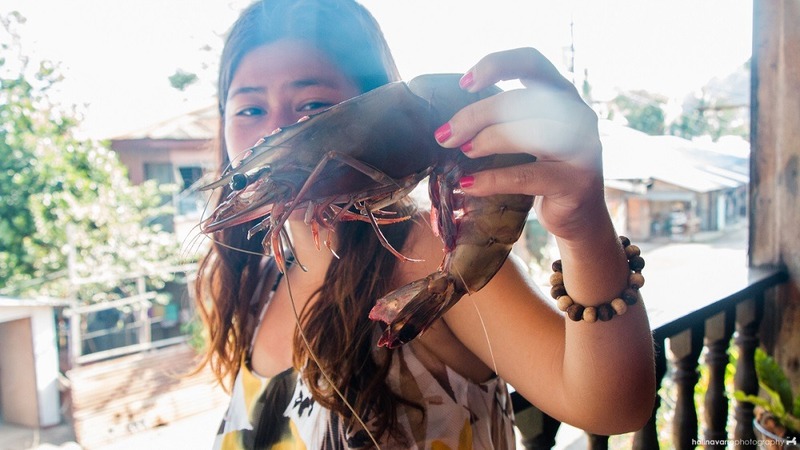 In Balabac, Palawan, you can buy freshly caught seafood in affordable prices. We tasted tauban – a type of large squid – which tastes delicious cooked adobo or ginataan style. We saw a large strip of tauban being sold for a mere P200. Its sheer size could’ve feed our whole group of seven and more. We also bought a plastic bag full of large prawns for P365 and a bag of shrimps for P175 from a woman who was peddling these goods early in the morning. 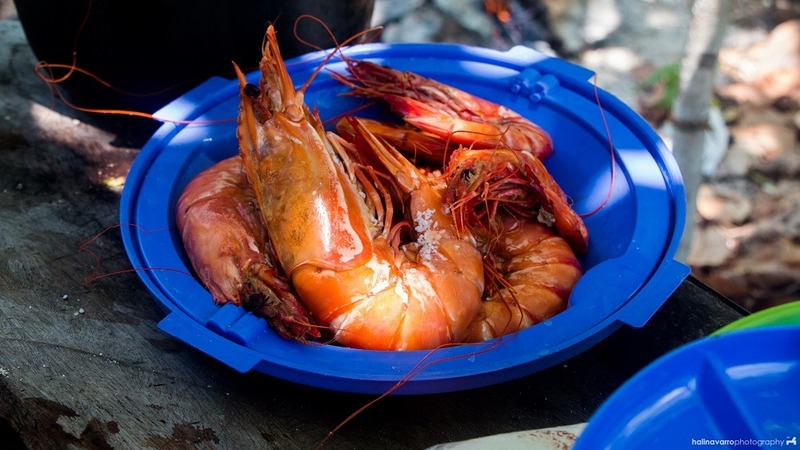 The shrimps and prawns were cooked by our good boatmen and were Hali’s birthday lunch. The prawns were sooooo… good. During our stay in Balabac, we also enjoyed the usual crabs and fishes. When we were in Punta Sebaring in Bugsuk Island, our boatmen cooked kinilaw, a type of dish where fresh fish is soaked in vinegar and flavored with slices ginger and onion. Even though I pride myself for having a wide palate, I’d never enjoyed kinilaw… until now. As our friend Peng has said — he’s a food connoisseur, by the way — the freshness of the fish makes the difference. 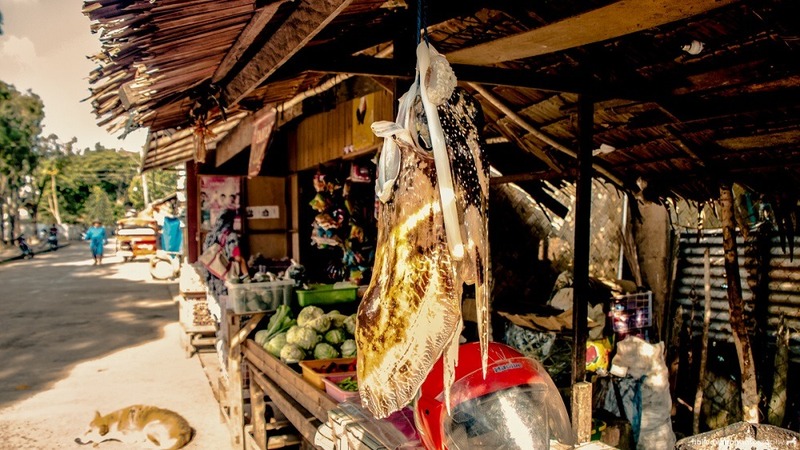 I think we were all fascinated with the ubiquity of Malaysian household products and goods in Balabac, from mineral bottles to snacks and chocolate sweets. 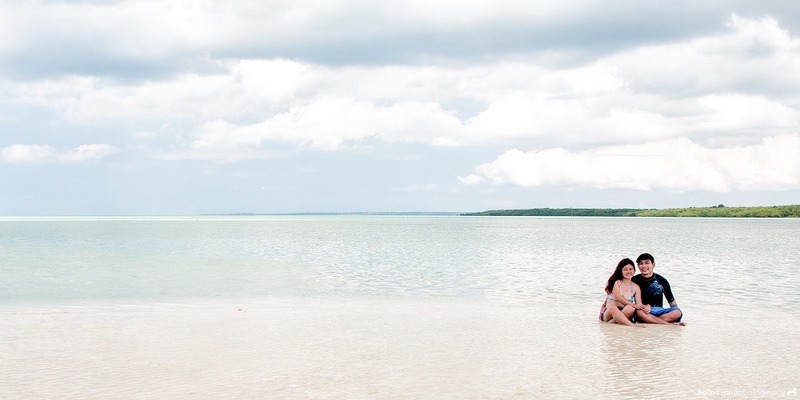 It turned out Balabac islands are just hours away from Sabah, Malaysia. In Melville lighthouse, you can even glimpsed Sabah from afar. We had curry-flavored Maggi noodles and cheap Malaysian chocolate balls. We woke up one morning listening to a Malaysian radio station. The radio show sounded like your typical Pinoy FM show with English-prolific DJs, until you notice that the traffic updates are about Malaysian roads. I’ve always viewed the Philippines as an isolated archipelago in Pacific Ocean. We seem to be a nation of a thousands islands, with no neighboring country reachable by land. Visiting Balabac, Palawan, it became easier for me to understand why, for a long time, there had been dispute about the ownership of Sabbah. Balabac is all these and more. 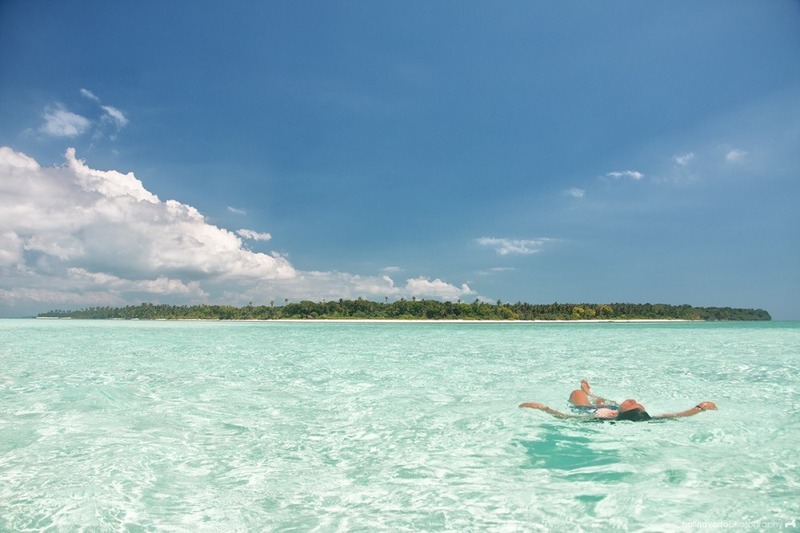 I recommend Balabac islands to those seeking off-the-radar tropical beaches, with reservations of course. Today, there are still unresolved issues in Balabac (environmental, political, security and so on). It’s easy to dismiss these as a fleeting tourist would, but there had already been serious security threats in the past. Personally I think the whole municipality still lacks stability. Hopefully, in the future more tourists will be able to visit here as we did and experience a memorable summer affair as well, in this group of islands where, as of this writing, few souls have ventured yet. You went on an island-hopping on a small boat without a roof? Oh my god that’s torture! I wouldn’t do that, nope, I don’t want to get sunburned. Where are the big boats? Don’t they have them there? But what didn’t they allow you to go Onuk Island? What was the reason for the rejection? I googled it and my oh my it looks stunning! Based on what we saw during our visit, most of the boats do not have roofs. There are, however, big boats that are more comfortable and have roofs for cover. I think tour operators use the big boats. They probably cost more, though. Great post and great photos! I’ve been to Palawan but I never heard of Balabac Island before, most especially the Onuk Island. It’s such a great thing that I happen to choose this article. We’re planning to go back to Palawan and I might consider to visit this island too. The seafoods? they just looks so tasty! It’s glad to know that you had a memorable stay in that island. I’m pretty sure we’ll have the same too. Thanks for sharing! Sure looks beautiful! Any place that looks like that will definitely create some life-long memories. I sure miss the beaches in the Philippines. I love how fresh the seafood is there. T]hanks for sharing. I’ve never been to Palawan yet but will definitely make it a destination when I visit there again.